The go-to base layer for early-morning runs. 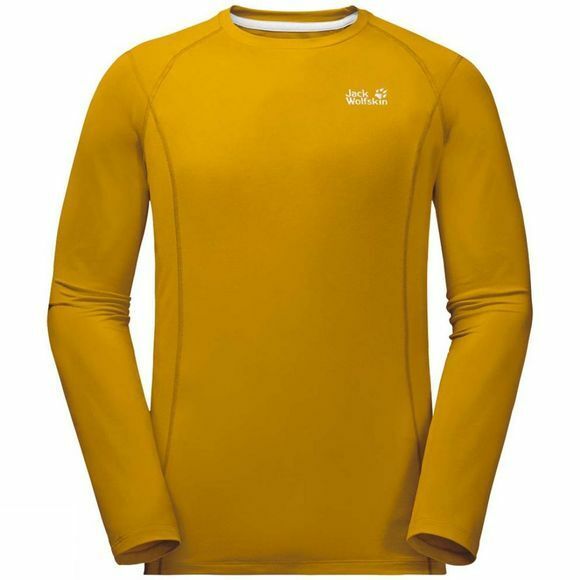 The Mens Hollow Range Long Sleeve Top from Jack Wolfskin is made of a very light hollow fibre fabric with a pleasant, soft feel and odour-resistant properties. This clever synthetic fibre fabric provides warmth even when damp. It also wicks moisture rapidly to the outside.